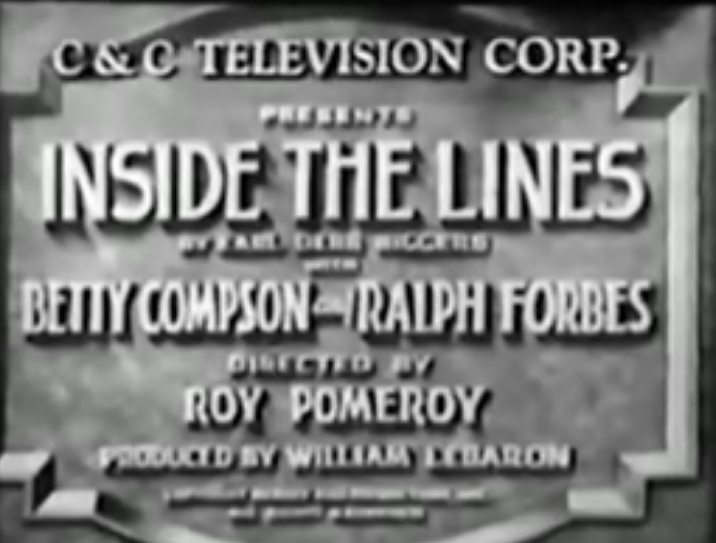 Inside the Lines is a 1930 American Pre-Code spy drama film starring Betty Compson, Ralph Forbes, and Mischa Auer. Directed by Roy Pomeroy (who also was the associate producer) from a screenplay by John Farrow and Ewart Adamson, which in turn was based on the 1915 Broadway play of the same name by Earl Derr Biggers. This version is a remake of the 1918 silent version, also with the same name. This film exists in the public domain after failure to renew the copyright after 27 years.